Are you on Twitter? Me too! 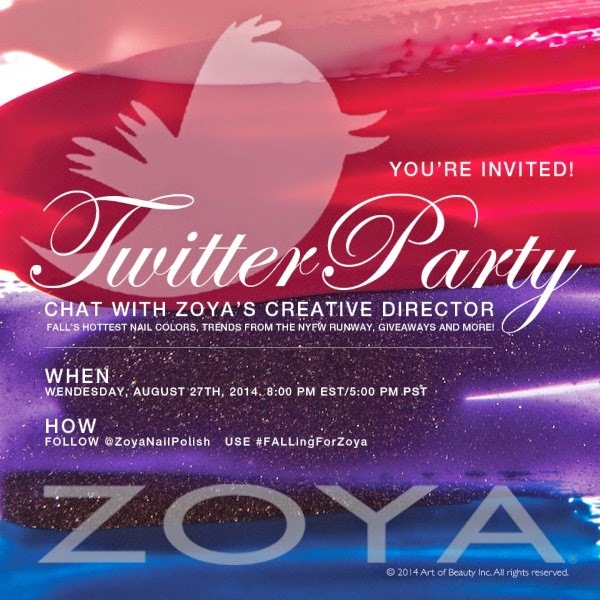 Join Zoya (@ZoyaNailPolish) tonight from 8-9 pm EST (5-6 pm PST) for a Twitter Party! They will be covering the hottest nail colors for Fall, trends for NYFW (WHICH IS NEXT WEEK AND I'M GONNA BE THERE!) and more! During the hour, Zoya will release a series of questions marked Q1, Q2, Q2 etc. Reply to the questions with A1, A2, A3 etc and the hashtag #FALLingForZoya so that everyone can find your tweets. Followers that participate and answer questions throughout the party will automatically be entered to win special prizes from the Naturel 2 and Entice & Ignite Collection at random. *Terms & Conditions: No purchase necessary to participate or win. Promotion begins Wednesday, August 27, 2014 at 8pm EST. Entry via Twitter ONLY - Twitter account must be on public setting and must follow @ZoyaNailPolish to be eligible to win. Giveaway winners will be DM'd codes - codes are not valid in conjunction with other coupons, codes or promotions. Continental US only. Art of Beauty is not responsible for incorrect addresses, credit card entry errors, web related issues or any errors associated with declined credit cards. Returns or exchanges of promotional items not permitted. 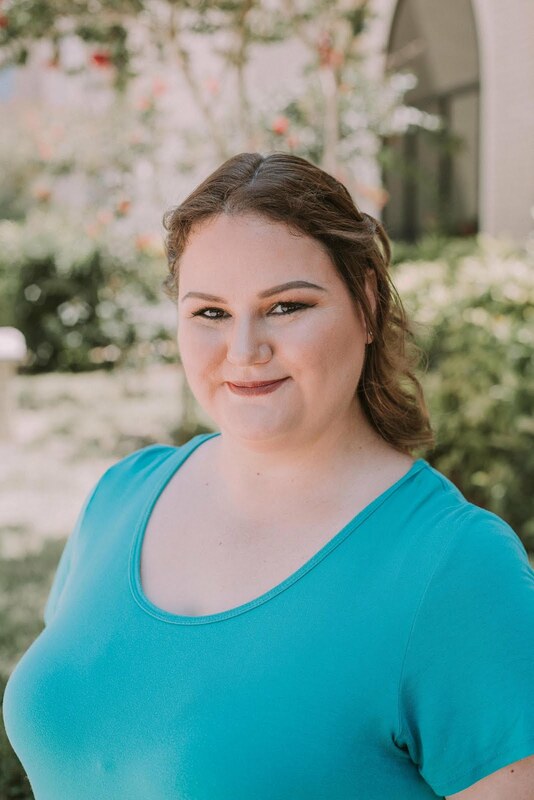 This Twitter party is in no way sponsored, endorsed, or administered by, or associated with Twitter, Inc. PolishGalore is not affiliate with the Twitter Party, just sharing the information.